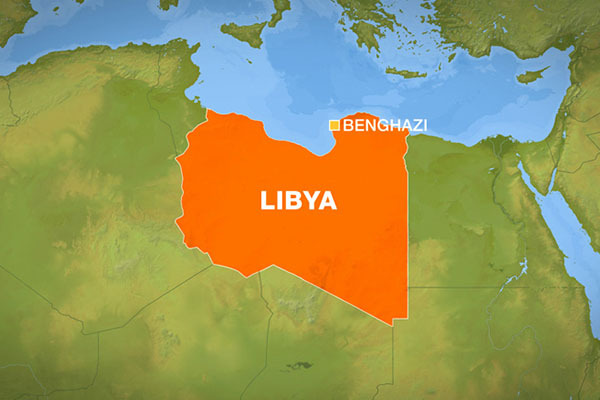 (CNN) — A car bomb at a military base has killed at least 10 people in the eastern Libyan city of Benghazi, in the latest violence to wrack the cradle of the North African country’s uprising. The blast occurred as new graduates left a technical school at the base, Libya’s state news agency LANA reported, quoting a military source in the city. The car was loaded with a large amount of explosives, it added. Speaking on Libyan television, Ammar Mohammed, a spokesman for the Libyan Health Ministry, said the bombing killed at least 10 people and wounded 23. Benghazi was where the 2011 uprising against longtime dictator Moammar Gadhafi began. Three years later, it is the scene of almost daily attacks and targeted assassinations, specifically against security officials. While no one has claimed responsibility for the violence that has gripped the city for more than a year, many residents and officials blame it on Islamist extremist groups operating in eastern Libya. Benghazi is the largest city in eastern Libya, where some groups want more autonomy and a greater share of the region’s oil wealth.